The African Union (AU) has criticised the EU’s decision to cut funding for its peace-keeping mission in Somalia by 20% at a time when it is entrenched in a deadly battle with terrorist militants. EURACTIV Germany reports. The AU has been sending task forces to Somalia for the last nine years to combat al Qaeda’s affiliate group in the country, Al Shabaab, in an attempt to liberate the region. 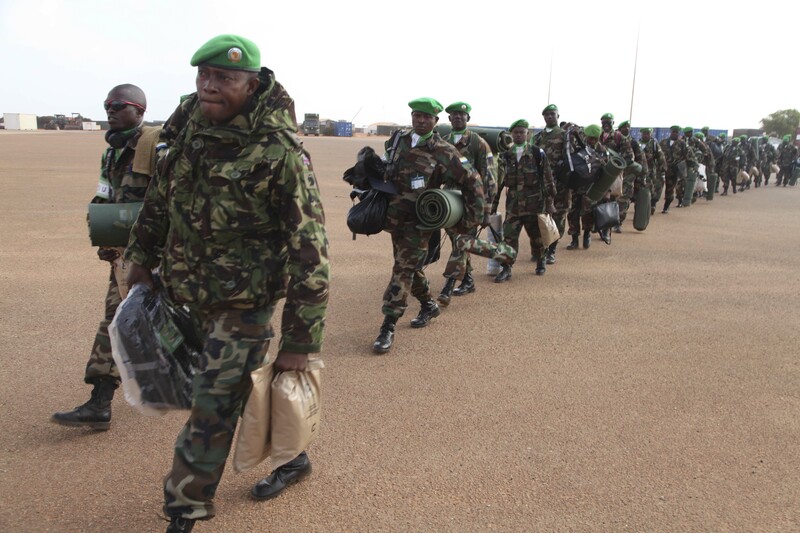 Currently, 22,000 troops are deployed there under the mandate of the African Union Mission in Somalia (AMISOM). The EU, together with the UN, is the main donor to AMISOM, which is composed of troops seconded from the military forces of Kenya, Ethiopia, Uganda and Burundi. These AMISOM soldiers are paid by their national governments, which received €1.08 billion in stipends and allowances from the EU’s African Peace Facility (APF) since March 2007. However, as the financial needs of AMISOM are constantly increasing, the APF’s initial budget of €750 million for 2014-2020 has already been increased to €900 million by the EU. But there will still be an additional €710 million required to fund these further needs until the end of 2018. AMISOM is currently consuming more than 85% of the overall APF resources. According to the AU, Brussels intends to cut this support by 20%. “The EU has made lots of effort to cope with all of AMISOM’s increasing demands. There is a need, however, for the African Union to look into additional sources of funding for AMISOM for two main reasons: first, the EU is called to support other African peace and security priorities and second, the EU’s APF needs to keep enough financial flexibility to respond to new crisis that may emerge in Africa,” says the EU spokesperson for international cooperation and development, Alexandre Polack. At a meeting held in Addis Ababa at the end of last month, AU leaders expressed their concerns about what impact a drop-off in funding could have. “As you are all aware the European Union made the decision to cut the allowances to the uniformed personnel of the Mission by 20%, starting in January 2016,” said Ambassador Francisco Caetano José Madeira, head of AMISOM. “This measure will no doubt affect the personnel who are making the ultimate sacrifice in service of Africa. Especially now, when more is expected of AMISOM. It is my view that we should pursue various funding mechanisms to sustain the current support for AMISOM,” he added. The Al-Shabaab militant group has been active in Somalia for a number of years and wants to establish an Islamic theocracy. They are believed to be behind a suicide bombing that downed an airliner last week. AMISOM is the only peacekeeping mission in Somalia to currently support the internationally-recognised government. Brussels’ cuts come at a time when Al-Shabaab forces are rallying and looking to take strategic positions in Somalian cities. Their latest offensive against AMISOM forces was launched in El Ade, near the Kenyan border, resulting in more than 100 casualties. The militants also took several hostages. The group also captured the historic city of Marka just three days ago. “We have to understand that war is expensive. The war on terror has moved to Africa and it is here to stay. That is why we must be ready to pay its costs,” Professor Derrick Muasya, a researcher and expert in sub-Saharan conflicts, told EURACTIV. “It’s a difficult balancing act for the African Union, which has a lot to do if it is to stop the spread of terrorism and it has only limited resources to do it with. Therefore, the AU is going to have to chase other resources to fund this war, which is going to last a long time,” Muasya said. According to Erastus Mwencha, Deputy Chairperson of the AU, the war in Somalia costs the governments behind the mission $45 million a month. The EU has welcomed the commitment of AU member states to fund 25% of the costs of African led peace and security operations made at the AU summit in Johannesburg last July 2015 and actively consulting other possible donors in order to check for additional funding possibilities. “It would be even more costly if the AU withdrew its troops from Somalia. This would mean that Al-Shabaab had won and terror would spread unchecked. The 20% cut in EU funding forces the AU to develop a serious and long-term funding strategy, with the aim of bringing this war to a more cost-effective and swift resolution,” Professor Muasya added. On 16 September 2013, the EU and Somalia jointly launched what they called ‘A new deal for Somalia’ at a Brussels event, involving a pledge of €650 million in aid. One year before, a new Somali parliament had elected Hassan Sheikh Mohamud as President, ending a phase of a transitional federal government with a view to finalising a new constitution before elections planned for 2016. The New Deal is based on principles agreed at the High-Level Forum for Aid Effectiveness in Busan in 2011, consisting of: 1) sectoral top priorities following five peace and state building goals, 2) partnership principles and 3) implementation and monitoring arrangements. How can a 20% cut “mean that soldiers’ pay will drop from $828 a month to less than $165”? And hasn’t it been discussed for years (and agreed in numerous statements of intent) that African states should/would provide more funding to AMISOM?